Designed to enhance the functionality and style in your home, this farmhouse gray and white textured wall mirror is an impressive accessory to hang in your bedroom, bathroom or living space. a flat profile decorated with textured white and gray barnwood finish creating a true farm to home interior style. four hooks are preinstalled allowing for vertical or horizontal hanging. 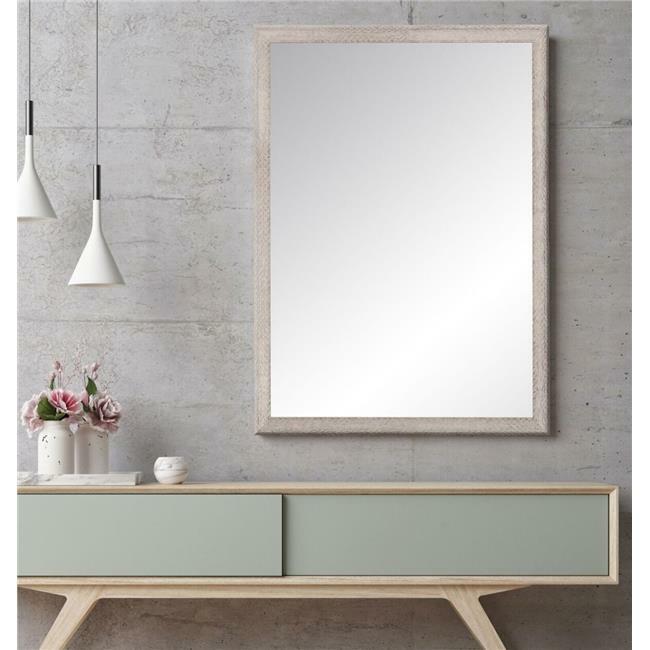 no assembly is necessary, this mirror is ready to hang when it arrives.